Is it easy to go from a small home studio owner to a Host Studio for one of the most prestigious Pilates Teacher Training Programs? Is it easy to make this happen in 2-3 years? Oh, and also have a family life and a small child. Most people would say that it is impossible but I have a real life example that would prove the opposite. While Erica’s accomplishments are truly extraordinary I feel that her story is very similar to the stories of many Pilates teachers out there. In fact, when Sunni Almond from Going More Joe asked her to share her Pilates journey she didn’t see why anyone would be interested in it. So I will let her take her take the “podium” and share her story with us. Be inspired! I’m a Southern California native and I have had a love for movement since I stepped into my first gymnastics class at five years old. Gymnastics came natural for me and I felt really accomplished with the sport. At eight years old, I began competing and loved the thrill of the meets and traveling all over southern California. When high school rolled around I didn’t want to compete anymore. Not because I wasn’t good at it, but because I didn’t want to leave school at 3pm, practice till 8pm and then do homework all night. I wanted to be a cheerleader with my friends. I tried out and made the team. It was fun but not challenging me in anyway physically, so I tried out for the co-ed all-star team that competed all over the country and made the team. Now I was in my element. I could use my gymnastics and stunting was awesome! I did this through my senior year of high school as well as high school cheer. At the end of my senior year of high school, I was asked to be a part of the USA cheer traveling team. I did this for one year while I was at Arizona State University. At the end of the year I decided not to return to the team to live a normal college life. Halfway through my sophomore year of college, I was a tad chubby from all the partying and non-activity. I had a great idea one day that I could be an aerobics instructor! How hard could it be, right? I applied at the gym closest to campus and they gave me an audition. I had no idea what I was doing but I could hit the beat of the music and understood an 8-count. I also made it up as I went along. They loved it and hired me. Looking back, it makes me laugh because I had no business teaching with no certification. But I was 19 and they didn’t care; I had full classes every night of the week and was thrilled the chub was gone. One afternoon I saw an infomercial for Mari Windsor and her Pilates videos in 2001, and decided I was going to get mat Pilates certified. I did this with the PhysicialMind Institute studio down the road. I taught mat Pilates after my insane cardio classes. It was a two-weekend cert and I just followed the order they gave and did it with the class. I’m laughing as I type this out because I would be horrified watching someone do this now. As I was preparing for graduation from ASU, the chiropractor inside the gym approached me about teaching Pilates in the clinic. Of course I said, yes! But then I realized he wanted me to teach on the equipment and I didn’t know anything about the equipment. I called the lady at the PhyscialMind Institute and said I needed to get certified in equipment right away. Sounds hilarious now. I started the program a few weeks later. Nothing made sense in the program. All this equipment and 500 exercises and no reason why we did anything. The program was over in 10 weeks and that was it. I left scratching my head and never went and taught for the chiropractor since I felt I knew absolutely nothing. Instead, I kept teaching aerobics and searching the internet for other Pilates schools. Something told me there was more out there. 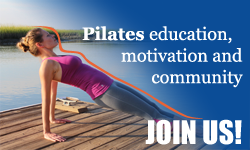 In 2005, I discovered Classical Pilates and Peak Pilates. Everything I was reading made sense with the history and the order and why we did things. Over the next two years I completed my comprehensive training with Peak and really enjoyed the program. I was teaching something that made sense. In 2012, I moved to Dallas and was hired to teach in a studio where there were Pilates Center of Boulder graduates and Colleen Glenn graduates. I knew that they knew things I didn’t know, and I wanted to know what they knew. I approached Lindy Irwin, another instructor in the studio, about going through The Pilates Center of Boulder program and what exactly that would entail. Lucky for me, Lindy was an Advisor TPC and there was another teacher in the studio getting ready to bridge as well under Lindy! The next day I began working with Lindy to prepare to test into the program and a week later, I tested and was accepted. Yes, it went that fast! I flew to Boulder every other month for 10 days at a time and immersed myself into the program. Amy, Rachel, Deb, Kailey, and my three advisors, Lindy, Dia and Toni (I had 3 because I moved to Oklahoma to another TPC studio half way through the program, but that’s a story for another day: the adventures of having a pilot in the air force as your husband), were incredible mentors. Looking back, I thought I was just going to dive further into the work and just know what these gals knew. Of course, that’s what happened, but what I didn’t know is that it would change the direction of my life; I not only understood the work on a deeper level, it changed my perspective on working with people. Today, I own Pilates Fit Studio in Louisville, KY, a Host Studio for The Pilates Center of Boulder. I continue to study as often as I can with Amy and Rachel at TPC and Clare Dunphy. I begin the Syllabus with MeJo Wiggin this September, and I will also become a Host Advisor this summer for TPC. Currently, Shelly Ruggiano heads the program at my studio. Erica Walters is an advanced graduate of The Pilates Center of Boulder. She has had the opportunity to teach classical Pilates to private clients, small groups, and in corporate settings in San Diego, Scottsdale, Dallas, and Oklahoma City while her husband fulfilled his duties as a pilot in the Air Force. Now that her husband has retired from the Air Force, they have settled in Louisville, with their son and two dogs, none of whom practice Pilates. Additionally, she was a guest writer in the Reader Platform in Pilates Style Magazine in the April 2010 issue, was featured in fitness clips for Blink Energy Water in LA, and was an adjunct professor for the Department of Exercise and Sports Science at Oklahoma University. It is her mission to help people achieve happiness with a strong body and a healthy lifestyle. As your Pilates instructor, Erica is dedicated in her teaching to maintaining the integrity of Joseph Pilates system of exercise by teaching Classical Pilates. She enjoys seeing the changes her clients make in their bodies, and the wonderful feeling they get from performing the method.